Whilst alongside in Tanzania, the Royal Navy frigate HMS Somerset embarked two officers for a maritime security patrol from Tanzania and Dubai: Lt Sikuku and Lt Ziguye from the Kenyan and Tanzanian Navies respectively, to receive maritime security training. The two officers were integrated into the Ship’s Company with Lt Sikuku assisting the Bridge teams and Lt Ziguye assisting the Marine Engineers. 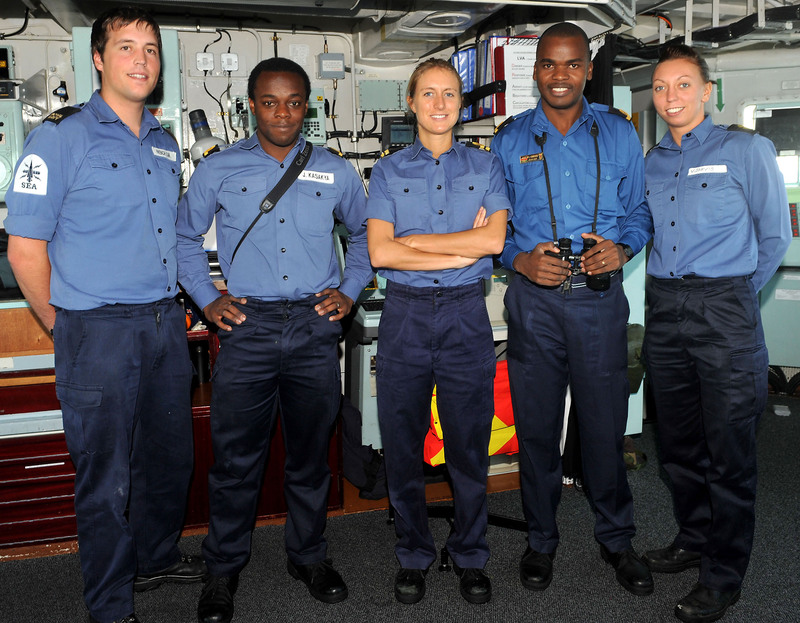 Both officers witnessed first hand the types of roles that the Royal Navy regularly undertakes whilst at sea. Shortly after sailing from Tanzania HMS Somerset was required to provide urgent assistance to some stranded fisherman – who were running critically low on fresh water – and helped them get back ashore. On 14 December both officers witnessed a ‘crash on deck’ exercise – a training serial which simulates the ship’s Merlin helicopter crashing onto the flightdeck. Lt Sikuku and Lt Ziguye both commented that they where impressed by the Ship’s Company’s reactions to the exercise and how well the crew treated it as if it was a real emergency. 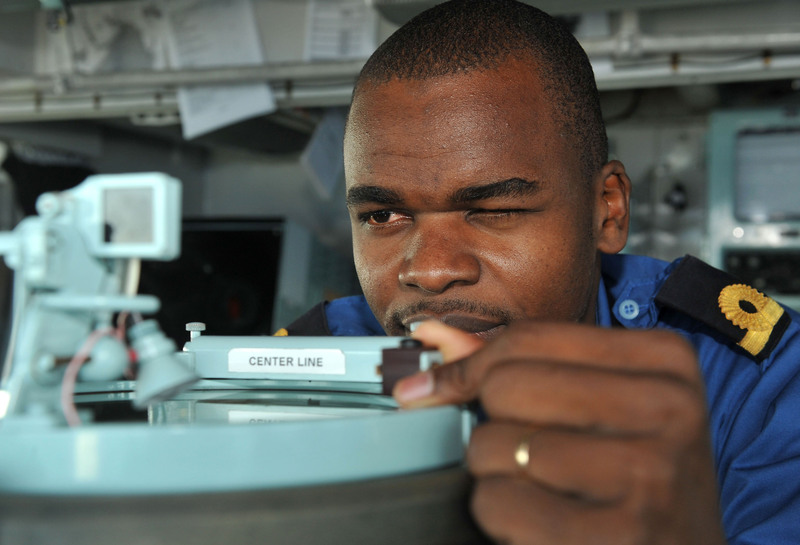 Lt Sikuku kept watches on the Bridge, visually identifying contacts for the Operations Room alongside the Officer of the Watch. He also conducted various navigation tasks, ensuring that the five thousand tonne warship remained on her correct course and speed. 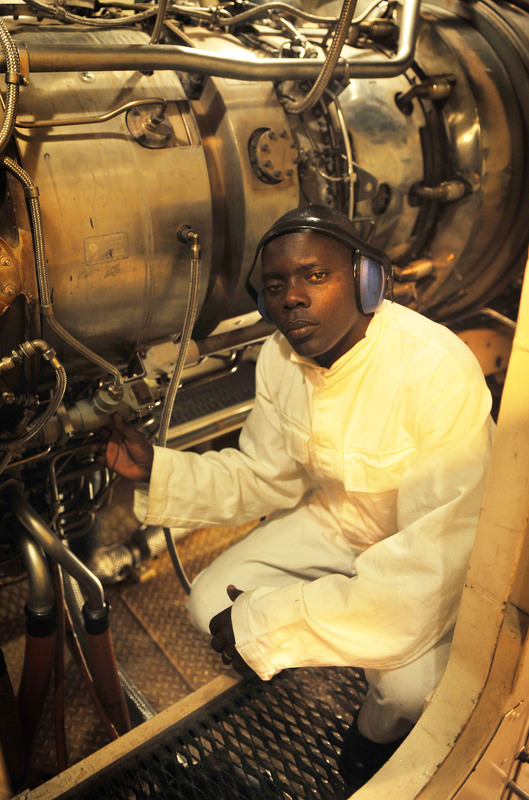 Lt Ziguye also said that he has enjoyed his time onboard HMS Somerset; he conducted daily rounds of the ship’s propulsion plants with the Marine Engineers. Afterwards he kept watch in the Ship’s Control Centre (SCC), ensuring maintenance logs were compiled and annotated correctly. Lt Ziguye also commented that he was very impressed in the way that the British sailors conduct their daily business and how all departments pull together to assist each other. Somerset is working under Combined Maritime Forces (CMF) as part of a task force which patrols the Red Sea, Gulf of Aden, Indian Ocean and the Gulf of Oman. It is a multi-national endeavour and exists to create a lawful and stable maritime environment free from terrorism, smuggling and other illegal activities. The principal mission is to deter, disrupt and defeat such actions. Throughout Somerset’s deployment her Ship’s Company will continue to promote stable and cooperative relationships with nations with whom she has contact. However, she will remain at readiness to respond to any tasking. Somerset has been deployed since August and is due to return to her homeport of Plymouth 2012.